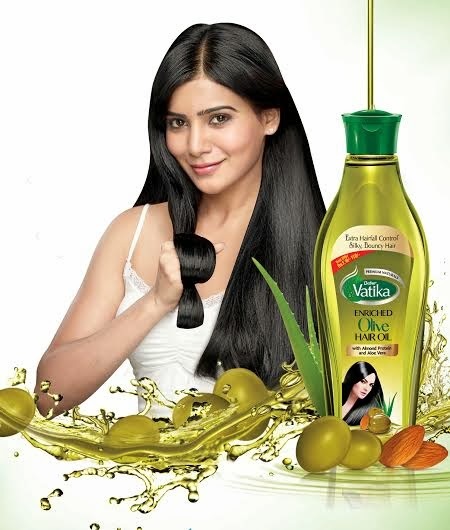 New Delhi, Jan 27, 2014: Dabur India Ltd., India’s most trusted natural personal care company, today announced the launch of Vatika Olive Enriched Hair Oil, further strengthening its presence in the perfumed light hair oil market. This is the first ever Vatika Olive hair oil in the country enriched with Almond Proteins and Aloe Vera. The new Vatika Olive Enriched Hair Oil comes with the proposition of offering consumers extra hair-fall control and non sticky, silky, bouncy hair. ““With established Nourishment credentials for hair, Olives have been used for many years, globally in different formats to get silky, smooth and strong hair. Many hair experts regard olive oil as one of the best oils for hairfall control, making it the preferred massage oil for the scalp and hair in high end salons. Vitamin E present in olive hair oil helps protect hair against damage. Vatika Olive hair oil enriched with Almond proteins & Aloe vera nourishes hair from root to tip, arrests hairfall by 50%, and makes hair exceptionally bouncy & silky,” Mr. Motwani added. New Vatika Enriched Olive Hair Oil comes in two SKUs – 100 ml and 200 ml priced at Rs 60 and Rs 110 respectively. Vatika Enriched Olive Hair Oil has been developed after extensive R&D and has a special non-sticky formulation that makes it sensorially pleasant and gives silky, bouncy hair. A new 360-degree campaign, encompassing television, print and digital, would soon be launched to communicate the new launch and its benefits. Also a dedicated website www.olivehaircare.com has been launched for the new product to engage with digitally savvy, urban consumers active in the virtual world. ““To strengthen our presence in the ‘branded coconut oil segment’, we had extended brand Vatika with the launch of Vatika Enriched coconut oil with Hibiscus, in the South, which has already become a runaway success. With the national launch of the all new Vatika Enriched Olive Hair Oil, we hope to further strengthen our presence in the branded hair oil category.” Mr. Motwani added.